Starting an SEO agency is a huge risk, well, any business is, for that matter. However, an SEO agency is one of the most popular businesses these days because of its increasing demand. Companies are improving their digital marketing strategies, and they need SEO experts to help them. First of all, you need to do some research. You don’t just jump head-on into the water. You have to dip your toes a little to get a feel of what to expect. Read blogs like the ones in WebMarketing123-courses to gain some knowledge on SEO basics. Pick a niche You might think that it’s great to accept any client that you can get because you need it to jumpstart your career, but that’s not a good idea. Focus on an area where you have expertise first, to make sure you do your job well, and then try branching out once you get some traction. Think local Try to offer services within your geographical location first. It will be good for you to do business with people where you have common ground. What’s closest to you is easier to reach than the whole world, even through the web. Have a name You need a name to represent your business. Think of something catchy and easy to remember but avoid common ones, so people know that it’s you. Create a logo Logos can provide symbolic representation for your business. You also have the option to combine it with your brand name. Website optimization You’ll optimize the website by changing the codes or metadata. You’ll crawl through your client’s site to make sure that there are no errors or duplicate content that negatively affects their ranking in SERPs. You also have to create a responsive web design for your client. Content creation Content plays a huge role in SEO rankings. You can offer to produce content that can rank high in SERPs, or you can edit or improve the ones that hurt their SEO score. Link Building Create high-quality backlinks for your client by building a backlink profile. When many other websites link back to your client’s site, it gives them plus points for SEO ranking. Build a Website Buy a domain and hosting, then build your site. 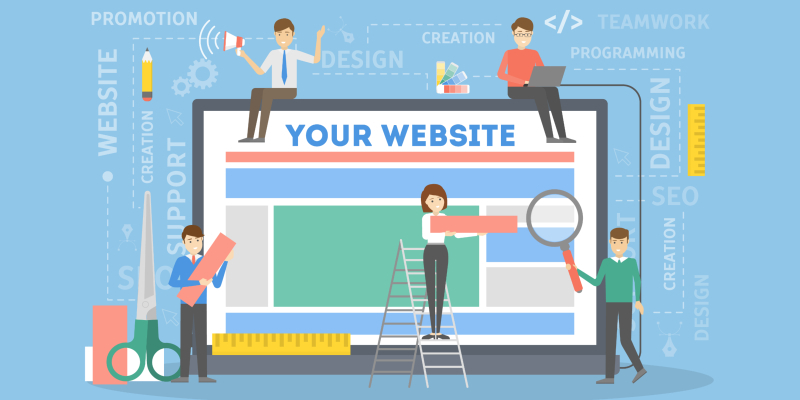 The design of your website should be the best of the best and should rank high in SERPs. Don’t you think it would be ironic of your SEO agency is not found on the top results? Set Up Social Media Accounts Social media is an excellent way for you to promote your business. If potential clients aren’t actively searching for SEO agencies, then maybe they could come across your social media pages and take note of you in case they need it in the future. It’s also a quick way for them to reach you and inquire about your services. Once you’re all set with your website, brand, services, and your agency is open for business, you now need to find clients. Your clients are the blood of your business, so you need to pull some strategies to attract them. Attend events that are relevant to your industry. Acquire an emailing list and send compelling emails. Ask your family and friends for referrals. SEO is ever-changing. You need to keep up with the latest updates to stay on top of your game. For example, before, search engines give plus points to websites with lots of backlinks in their profile. But now, backlinks should be high-quality or else they will be flagged down and get penalized. Be on the lookout for those changes. Even if they are not frequent, you need to stay updated. After all, it’s a way for search engines to improve the usefulness of whatever they show the users. Starting an SEO agency entails a lot of research and learning. You will need a lot of patience and effort to ensure the success of your business. Hopefully, this guide gave you some insight on how you can start your agency. Follow the steps so you can do it right the first time.